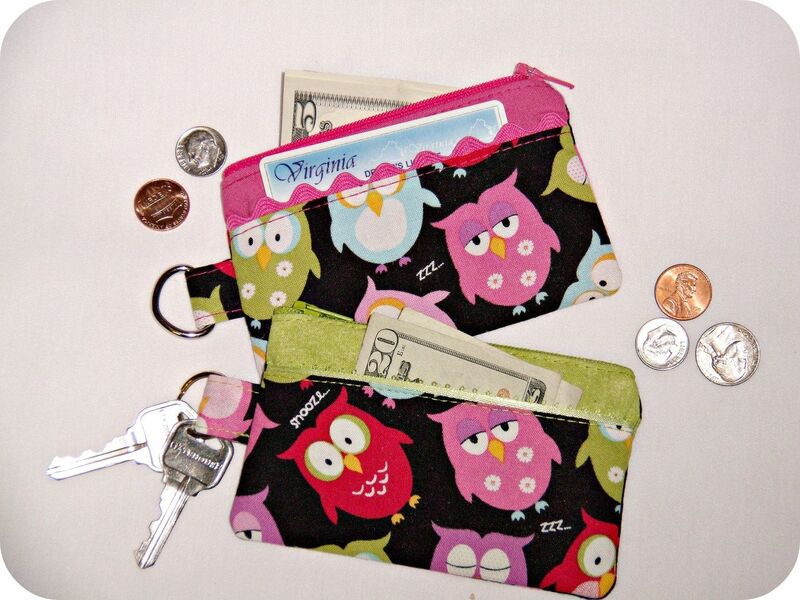 This listing is for one handmade Owl Small Coin Purse. How cute is this? These little coin purses will surely come in handy for those days when you just need to run a quick errand. Toss it in your bag and you are ready to go. Zippered closure for added extra security along with an outside pocket and attach key ring. They are fully lined using contrast fabric color. Take a look at my other listings with matching handbag. Don't forget to include contrast color of choice in note to sender. If no color choice is requested default color will be pink. Please note: Contents pictured for display purposes only.